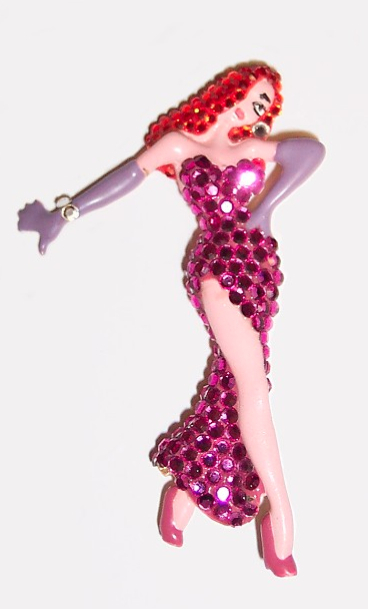 This pin was one of the first every created of Jessica Rabbit. It was also the first ever pin to utilize crystal embellishments. You can read more about the history of this pin in the ImNotBad.com Exclusive Interview with the pin designer herself, Wendy Gell.